Have you ever heard of kiwi.com? Kiwi is a powerful search engine for flights. 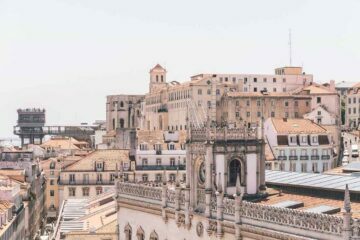 After we published our 16 favorite winter destinations in Europe and 21 best places to visit in Europe in summer, we got so many questions about how we find our flight deals. We realized this is still a huge topic. Therefore, we wrote up a big, detailed review of kiwi.com. In fact, Kiwi and Hostelworld are essential websites to for travelers. Important Update: We have received many complaints about Kiwi, and it was even stated this article is paid. This is NOT a paid review. No one paid us! This is a 100% genuine review; and even a guide for you to be smart and stay safe when booking flights. We do not claim it’s the only website we use, but it’s part of our process finding flights. And yes, we book our flights with kiwi as well! Please keep reading. 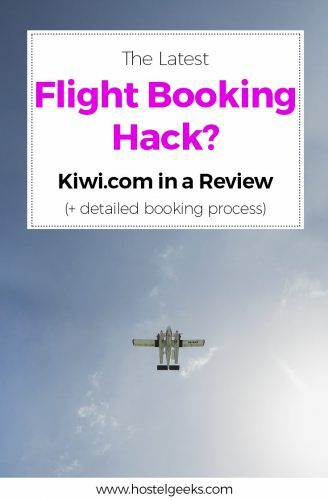 The Booking Process – is Kiwi cheaper? How to book your accommodation like a boss? 15 booking tips for hotels,hotels and apartments. We also wrote a big review about Hostelworld and review about Tiqets, a website to purchase tickets to sights worldwide like the Colosseum and Eiffel Tower. Here’s our guide on how to use Airbnb. 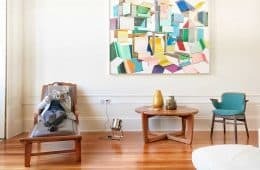 Get a 35€ discount on your first Airbnb booking. Kiwi is the flight hacking app we have all been waiting for! It comes with extra features that improve the research and booking process. 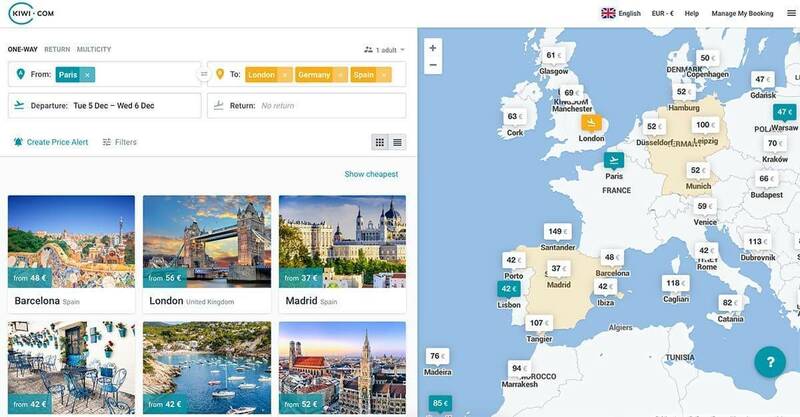 This website will change the whole way YOU and your travel buddies look for flights on the internet. It is a huge time saver with smart features that actually work in favor of the traveler, not the airline! Besides collecting the worlds finest hostels, finding cheap flights is a regular task for me at Hostelgeeks. There are a few techniques and websites you can use to achieve good flight deals. I recommend the best one, kiwi.com. Ever since I found this website with the cute name, me and the team have been using and recommending it. There are several reasons why this is the best website and app to find flights. 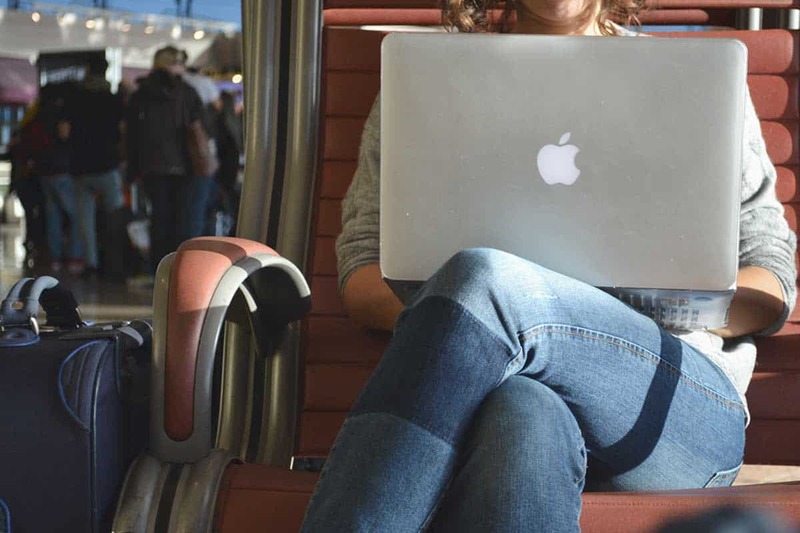 In this detailed article I will walk you through our research process for finding flights, followed by the actual booking itself. Is this Kiwi.com legit? Yes, and I will tell you why, based on my personal experience. I will share in detail how I found flights across Europe for only 9€ and crossed continents for a sweet price. In a nutshell, the top features of Kiwi are the date range, the so-called radius search and the combination of airlines. Update: After we used this booking engine so many times and since we love their service, we teamed up with them. You can now book your flights directly here as an Hostelgeeks affiliate. We even received a special promotional code for Kiwi, read here. Whenever I have to catch a flight, there are three websites I check out. Over the years, these platforms have proved to be great resources. I do not open and check them in any priority, it’s mostly random. When comparing Kiwi.com and Skyscanner, keep in mind, that Kiwi.com is an OTA. Good to know: OTA stands for Online Travel Agency. As an OTA, Kiwi issues tickets, takes care of customer support and bookings are finalized on their own website. Skyscanner on the other hand is a meta-search. It is a price comparison, gathering data from many providers and redirects you to partners websites. I use them to get a general idea of rates and flights out there. Is there a direct flight? Which airlines fly to the destination? flights.google.com and kiwi, in particular, make a big difference. Both share the different rates in a handy calendar. It’s helpful to put the rate in context. Maybe the next day it’s cheaper? Bear in mind, cheapest flights are normally on weekdays and outside of school holidays. 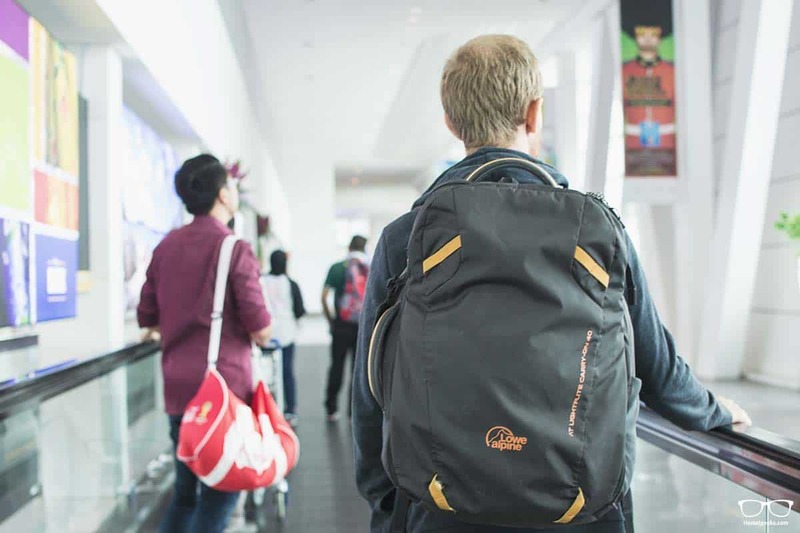 BTW this photo shows me and my backpack from Lowe Alpine in Kuala Lumpur. I included it in the ultimate hostel packing list and our shop. Google Flights covers the biggest range of airlines. Type in your destination and let Google Flight do the magic. 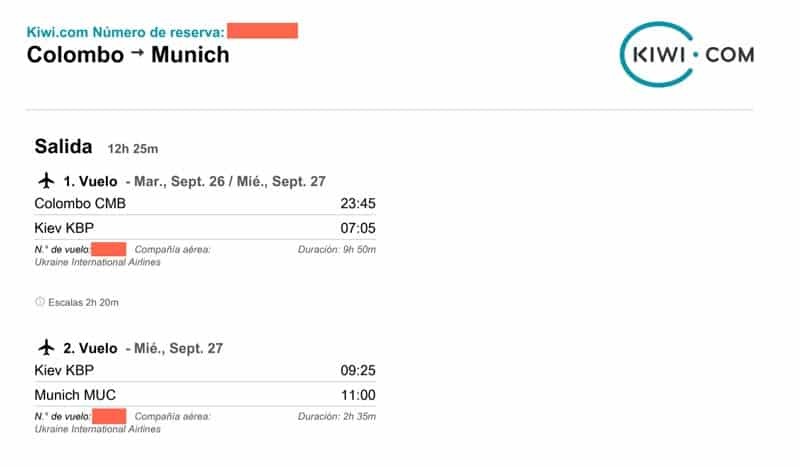 Skyscanner is fast loading and I love to check it out for comparing airline rates on specific dates. It also comes with the multi city feature. In November 2017 they added their inspirational map. 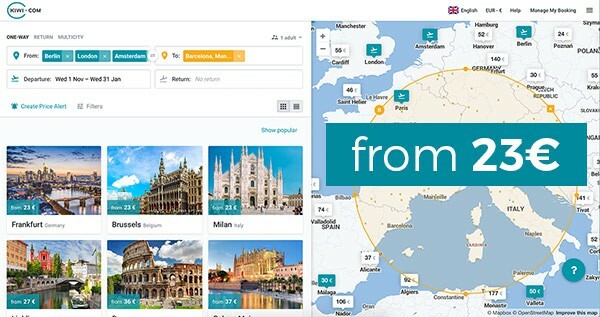 It shows you cheap destinations in your area. You can filter by price and set the dates yourself. I use Kiwi for finding cheaper destinations and dates to fly. It is especially handy when I are looking for inspiration. Give me a good deal to a destination I’ve never been to or already love and I’m in! Obviously, I use all three websites to compare the rates. Our final booking is made with kiwi.com or any other booking engine. However, after comparing prices, it is the kiwi guarantee that makes it so convenient. Remember, I still check the airline directly to compare the rates. More info on the booking process here. Time to have a closer look. Here I share the features that make Kiwi such a great flight hack and time saver. My absolute favorite feature is the search radius. This takes researching flights to a whole new level. Instead of typing in a fixed destination, you draw a circle on the map. The app searches for flights in this radius. 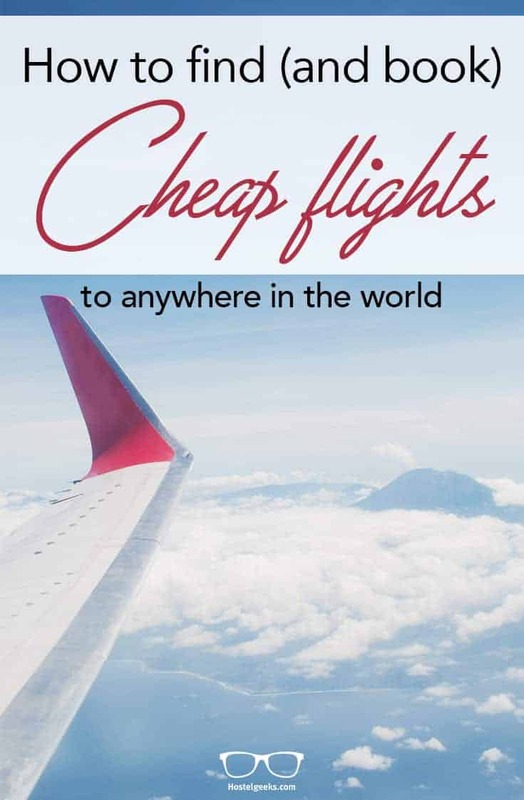 It shows you all the different destinations and the cheapest air fare in a handy way. You can filter for cheapest flights and direct connections. 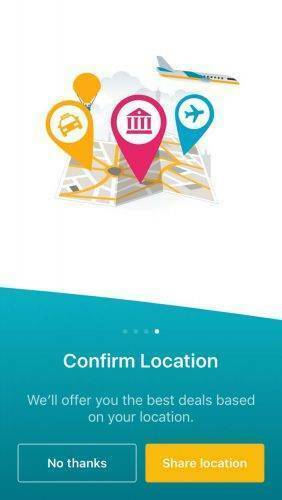 It also shows you the rates of all the other destinations around your circle. Maybe you missed a good opportunity here? So, when do you need this feature? This is useful when you are looking for flights to a country or area, rather than a specific city. Let’s say you want to go to South East Asia, coming from Europe. While Kuala Lumpur and Bangkok are the main hubs to find cheap rates, there are still many others to consider. Maybe something you did not have in mind in the first place? Ho Chi Minh for instance or Jakarta, Indonesia are not to be underestimated. Imagine you would like to fly to Spain from New York. Select “Spain” as a range and kiwi will display all the options. It shows even near areas nearby your selected range in case you want to change your mind. Kiwi updated their functionality. Unfortunately now it is not so easy any more to find the “radius search”. We do not know why they removed this since this is an epic feature. However, we found a way to use this feature of radius search still. Luckily, the circle or radius feature is still there. We made a quick video about Kiwis Radius search and how you can activate this again. For inspiration, Kiwi is my go-to website. Just type in your departure airport and set the destination to “anywhere”. You can set the date to a fixed one or select a date range, for instance March and April. In fact, “Anywhere” is the default destination. Hit the search button and see what comes out. This helps us to get an idea of cheaper destinations out there. It puts destinations on your map that you may not have considered beforehand. Another feature I always miss with the many flight search engines out there. Choose multiple cities and go around the world. Kiwi combines different airlines and schedules which makes it so easy for a world traveler to travel from A to B to C and D.
Again, this is very, very important: they combined several airlines. You can book several airlines with 1 click! You can select exact dates or even a date range. You can even spot the cheapest prices on the calendar while you are choosing the dates. 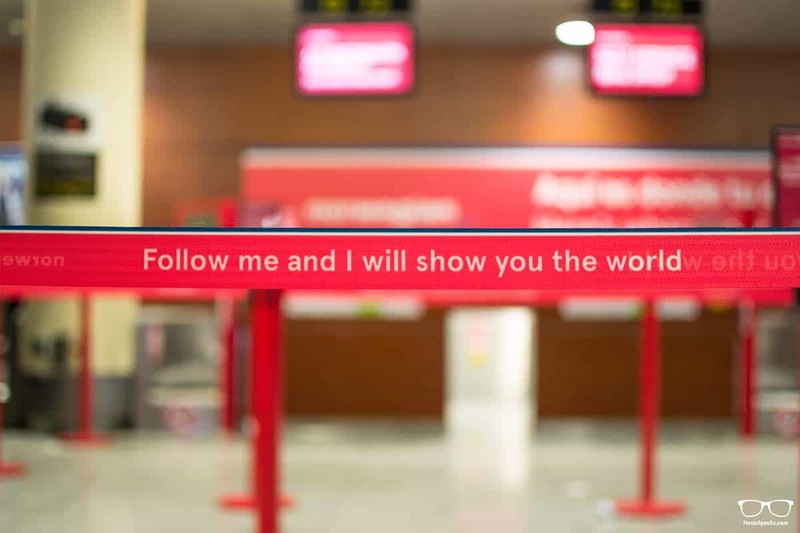 They even guarantee that you will get your connecting flight. If not, there is always the Kiwi Guarantee. Another option here is also comparing different destinations. You are not sure which destination you wanna fly? Maybe the price will help you to decide. Now it is not necessary to have 4 different windows with the destinations you would like. E.g. : You are not sure about going to London or Germany after Paris? Just compare the prices between them. kiwi will let you know all the options. Simple as that. The Multicity Feature in particular requires booking with different airlines. Kiwi combines them for you. They look for the cheapest flight combinations out there, no matter what. That being said, Kiwi does not include all the airlines in the world. The smaller ones in South East Asia for instance are not included. In our section of cons I give you more details. One of the golden rules to score cheap flights? Yet again, weekdays are cheaper than weekends and of course skip the holidays. “anytime” and “specific date” do not require any explanation, so let’s have a look at date range. It is really that simple: you choose a date range, for instance all February. 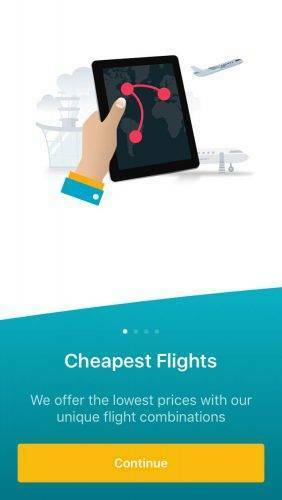 The App will then instantly filter by dates and give you the cheapest dates to take your flight. The cheap price alert is brilliant. Setup an airport or radius as your departure point and select the area or radius you want to travel to. To activate the cheap-price alert, simply hit the button below the search fields. Here you’ve got to include a maximum price. That’s it. Your Price Alert has been created and Kiwi will let you know when the price is right. They will send you an email like this one. If you have the App installed on your smartphone, you will receive a pop-up message as well. This feature is especially great when you have a fixed time window to travel. Let’s say you have vacations from the 1st February until 14th February, but you still don’t know where to go. Setup your starting point, your destination as “anywhere” and edit the time-range to 1st February to 14th February. I also recommend signing up for their newsletter. 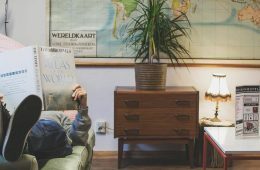 Talking about newsletter…in our 15 booking hacks for hostels I recommend signing up for hostel and airline newsletters. You will be surprised what kind of offers will land in your inbox. You receive exclusive discounts and you are the first one being informed on new offers. 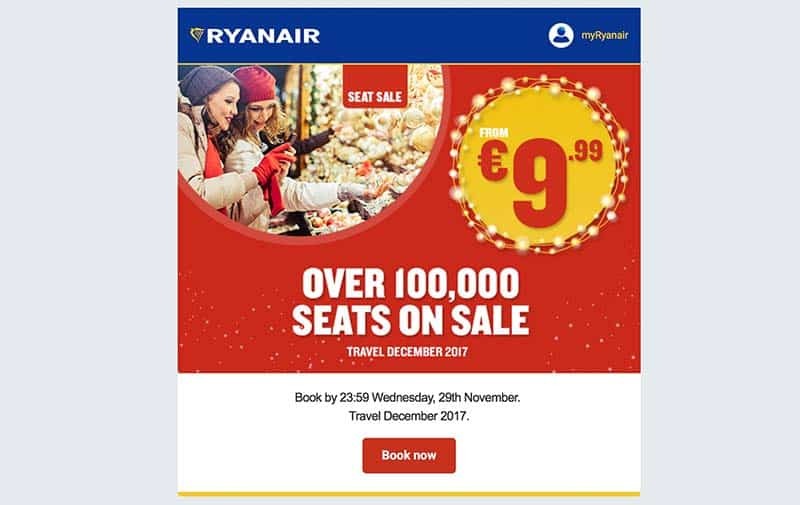 I recently got this newsletter below by RyanAir. 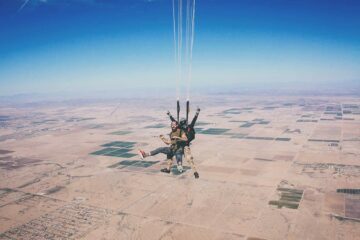 Since I wanted to travel anyway, guess what I did? BTW: Sign up for our newsletter, we always share exclusive hostel discounts. 3. The Booking Process – is Kiwi OK to book? Is this website is legit? Is Kiwi reliable and safe? 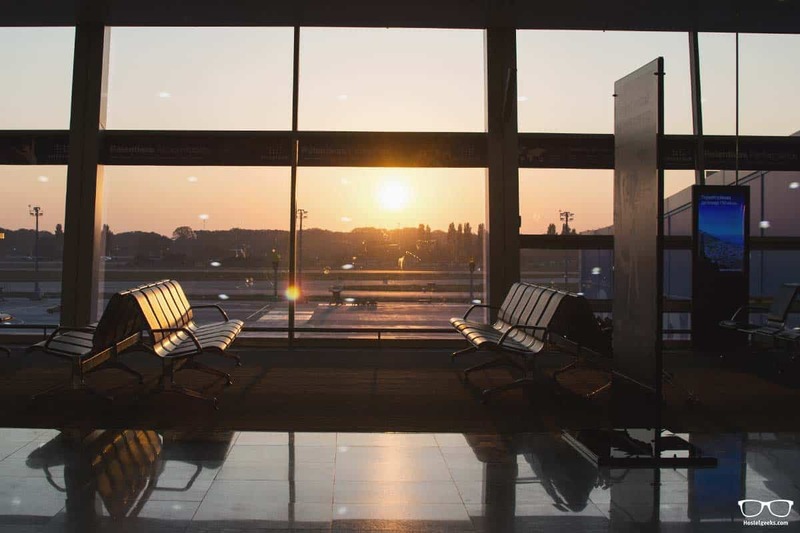 We all want to score the cheapest flights out there. Update: As mentioned in the beginning, so many users claim Kiwi to be a scam, to be fraud, unreliable, you name it. There’s a lot of bad reviews about Kiwi. While we take these complaints serious and publish them here in the comments too (if language allows), we can only share here our own experience. Again, we actually book our flights with Kiwi too. I am adding below our confirmation email of one of our first flights with kiwi from 2017 even. Back to the website; It is quite rare to be willing to pay more just because the app or website looks cool. is Kiwi ok and safe to book with? As mentioned at the beginning, I compare different airlines and booking portals. Always. The chances of finding cheaper flights with Kiwi are quite high. However, airlines official websites could be even cheaper right?! After all, the official websites of hostels tend to be cheaper than booking platforms. This rule does not seem to apply to flights apparently. Almost every booking engine has their own agreement with the airlines. Some of them can give you a better price, sometimes there are special offers. I don’t know the background, and it doesn’t matter to a traveler. All I want: a cheaper flight! On our flight from Sri Lanka to Munich I used kiwi.com. Before hitting the book-button, I compared the airline’s rate. As it turns out, I saved a sweet 56€ – by using kiwi.com! So again, I used them for several flights as I got the best deal with them. So far I have had no issue with missed flight connections or lost baggage. But…what if something happens? Delayed or cancelled flights, for instance? This is where the Kiwi Guarantee kicks in. It is one of the services that is actually worth paying more for. This is the part I like most and it’s a reliable and trustworthy booking engine you can count on. Kiwi is quite confident when it comes to its booking service. They promise you that you will catch your connection. After all, this is how their algorithm runs. And if something happens, they are there for you to help you out. During our research I came across some really bad reviews. Some of them were quite harsh. Is there a reason to be nervous about Kiwi? There is always a risk when booking flights with separate companies. If you miss a connection, because of the first delayed flight, well, good luck. You have to buy a new ticket and the one you missed only serves as a bad souvenir. Kiwi guarantees that you will catch your next flight(s). They are that confident, they made a whole page about it, promoting it heavily. BUT: they need your help! You should make yourself familiar with their service. This way, and only this way, they can help you in case something goes wrong with your flight. If any of these events happen, Kiwi guarantees an alternative flight or to refund the price for the unused ticket. But, again, you have to follow their rules. Their guarantee needs your cooperation. Although these instructions are fairly easy, I understand it might be hard to remember in a situation of stress. Missing a flight for instance. Nobody likes that. However, keep calm, Kiwi will help you out. Check out their full guarantee here. This section is important to everyone with special requests for their food. When I booked one of my flight to Germany, I forgot to mention that I am Vegetarian. To be honest, to me it’s normal in a way and I always find vegetarian options. Well, not so on a plane – for obvious reasons. I was served some chicken and I had to give it back obviously. I simply forgot to add this to my booking. The stewardess brought me some fruits they still had, that was at least something. This was really my mistake; I really forgot to mention it. Therefore, pay attention and leave a comment with your booking about any special requests like vegetarian options, glutenfree etc. This helps to stay not hungry on your travels like me. Although I am a huge fan of this web application, there are few cons I want to share. I do not claim this is the best freaking website out there and pretend there are now CONS. Without them, this review would not be complete and not honest. That being said, you will notice that Kiwi is still trustworthy and reliable. Again, at least in our experience! The small airlines around South East Asia are not included at the moment. This is not really surprising, considering you can buy some airline tickets in the supermarket! I reserved our latest flight from Bali to Labuan Bajo and had to go to the supermarket to pay in cash. I am sure they will add more local airlines over time and as soon as it is technically possible. However, I check flights.google.com to see if there are other local airlines around. Note: flights.google.com does not include all local airlines neither. Around the web you find many bad reviews of kiwi.com. While the majority are great, the few bad ones are a tough read. I took the time to read through the reviews before actually using them the first time. And again before writing this article. If you have a closer look, it seems like there were some errors made from various ends. Either way, it changed. Now you can fully count on them! Yet again, you have to be familiar with the Kiwi guarantee. This way, kiwi has no excuse and they won’t need it, since they will stick to their promise as many reviews showed as well! BTW: In case something happens, it’s a good idea to stay calm and not start insulting the customer service agent. I mean, who really wants to help out when they are insulted? flights.google.com always loaded faster than the Kiwi App. In order to use Kiwi properly, you should be patient and not click around while the app is still pulling its data from the backend. Now, I make it sound like it’s really slow. It actually works ok, it’s just that most websites pull up faster. First world problem…okay, okay, I know, guilty!! Many of the online complaints about Kiwi seem to be about missed connection flights. To stay absolutely safe, make sure you only book flights with a proper amount of time to change planes. When there’s immigration and a visa involved, and you only have 45 minutes to change the terminal, that is in no way enough. Sure, there is always the Kiwi guarantee. But yet again, most people seem to complain about exactly that issue. If you plan to book with Kiwi.com, be smart about it and avoid such a situation. So, when did I start using kiwi.com? I used Kiwi for several flights. I don’t mean to brag or anything. It is just to give you a better understanding from my 1st hand experience. BUT, I did not use them for all our flights I took during the last 2-3 years. I could pretend I did so, but it’s not honest. I always check the mentioned three websites! I used them for instance to travel from Barcelona to Fuerteventura on the Canary Islands. I scored a 9€ flight thanks to kiwi.com. Another big win was the flight for 15€ from London to Barcelona. The latest flight I booked was from South East Asia to Europe. This is where the search radius played an important part. All I wanted: A good flight from Sri Lanka to Europe. We arrived in Germany and we’ll take it from there. I only paid 255.50€ per person. And it was not a low cost airline. We had meals on board and luggage was sent directly to the destination. There you have it, I used Kiwi for several flights. I have not had any issues so far; not with luggage, delays or cancelled flights. Fingers crossed! Therefore: Yes, it is okay to book with Kiwi! It is reliable, fair, trustworthy, fast, easy to use and again, the Kiwi guarantee is a big plus! As a proof, I uploaded here our booking confirmation. It is in Spanish, you will understand the most important parts nevertheless. After using this website now for a while, there are some basic recommendations I want to share. Before I wrap it up, here is our recommendation on setting things up. 1. Sign up – NOW! It is definitely a good idea to sign up with Kiwi. It is free! Make sure you sign up with your “good email”. After all, you may receive your flight confirmation here one day. Signing up also gives you the opportunity to set up the cheap price alert. Download the app to your smartphone. Both Android and iOs are available. If you already created a price alert, you will receive this alert on your phone in the form of a pop-up message. I know, I mentioned this earlier. I just think, it’s a killer-feature, don’t miss it. Here are three screenshots I took from the app. After signing up, this is something I would do instantly. Check your bucket list, talk to your travel buddies. 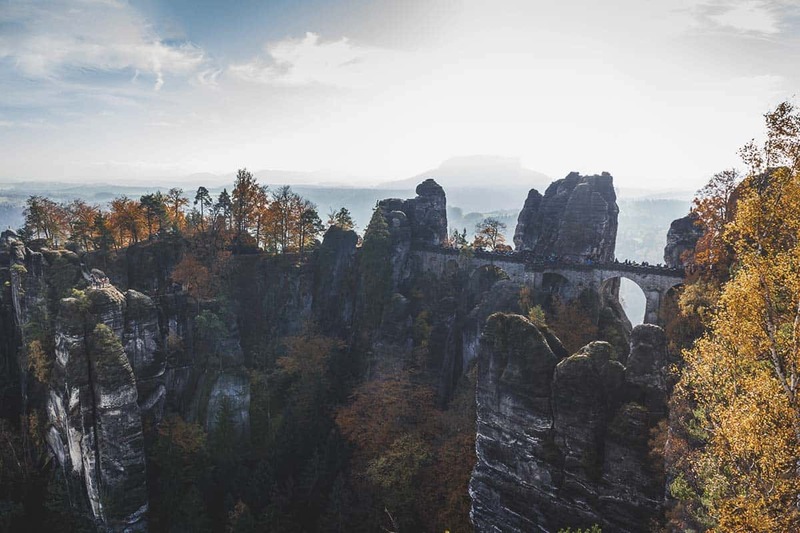 Read: 16 favorite winter destinations in Europe. That is actually the article that made us write this huge review here. 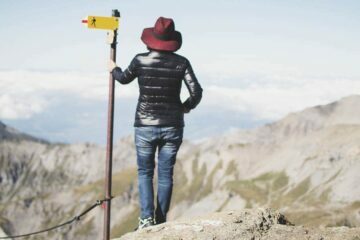 Even though you don’t have any fixed plan yet, maybe not even any vacation days, I would set up price alerts to your dream destinations. You will receive automatic notifications once the price drops or is in your preferred price range. You can also setup the “inspiration mode”. 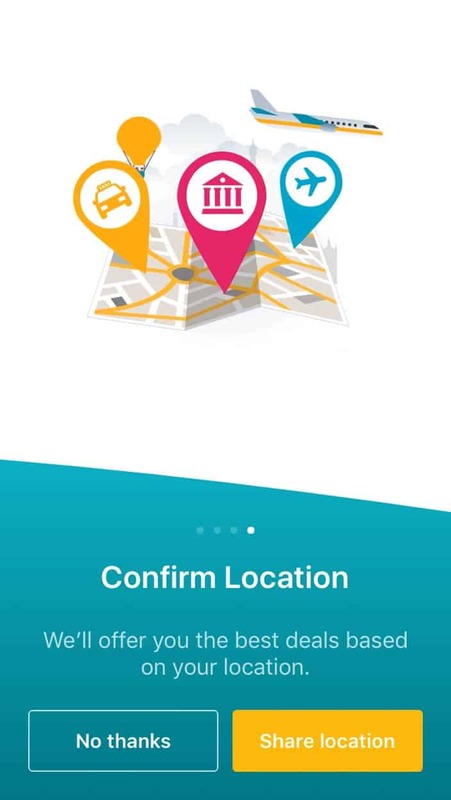 This means setting the destination to “anywhere”, the date to “anytime” and choose the maximum price you want to pay. You will then receive emails with all destinations that are cheaper than your chosen price. We already walked you through the Kiwi Guarantee. And yet again, I mention it. And I cannot believe how many people actually skip this step. Although I have never had to use it as the flights ran smoothly, it is recommended important to be familiar with the service. In case something goes wrong, it is the only way to find a solution without paying more and starting to hate Kiwi. UPDATE: Many users send us over a big thanks since the had to pick them up in this guarantee. DO THIS AS WELL!! Update: the discount code already expired. We are working on getting a new one for our readers. Condition: The voucher is valid for every booking over 150€ in total price. Please take this into account. 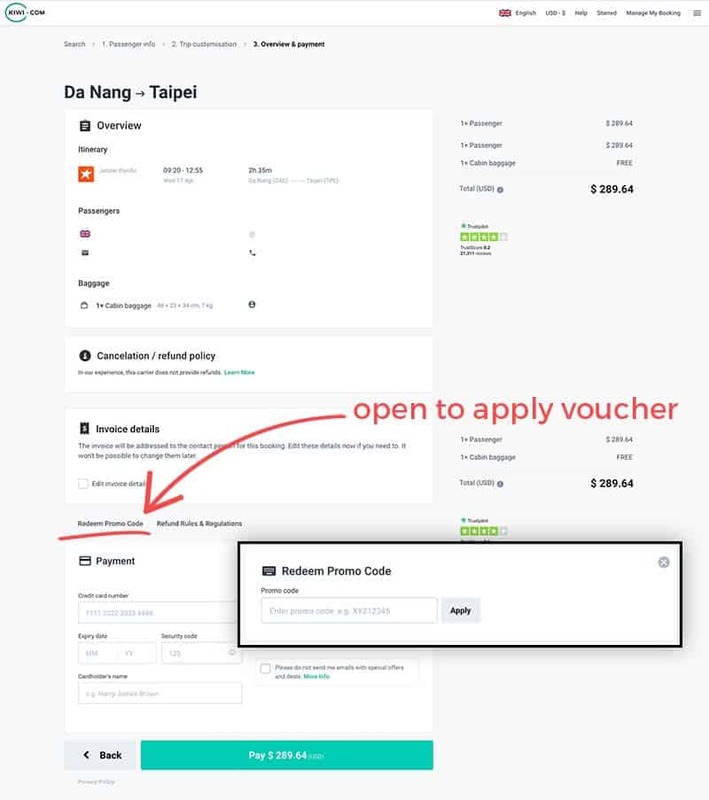 In case you have any issue with the voucher for Kiwi, please get in touch with us. Where to apply the discount at Kiwi? This is not as obvious. First you have to type in your name, and the insurance you pick. Then you click “Next”, choose your “Extras” like sports luggage and then “Next” again. Below the Overview, the Invoice Details and BEFORE the payment details you will find a small boxes. The box says “Redeem Promo Code”. Here you are. just open this box and you can redeem your kiwi promo code. Is Kiwi OK to book with? Indeed. You have an extended explanation in our booking process. We also spoke about the cons of Kiwi. Can I trust Kiwi blindly? I would never ever recommend you to trust anyone online blindly. 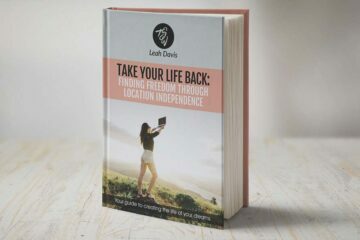 A few times it happened to us that users send us over a photo of their credit card, because they wanted to buy our ebook, before it was even launched. Seriously, we are touched, but come on: don’t do this, it’s dangerous. Of course we would not do anything, but there is a photo of your credit card in someones email. Not a good idea. Back to Kiwi, make sure you read through the terms and conditions and make yourself familiar with what you are booking. You cannot book something and then claim you didn’t know about a cancellation fee and so on. There are a few gadgets that makes flying always easier and more comfortable. I recommend a travel pillow to sleep better, an eye mask and finally noise cancelling headphones. Many airlines offer complimentary headphones (that means free!). But, truth be told, they are not comfortable at all and I ALWAYS end up using my own ones. That’s less trash for the airline and more comfortable for me. Good to know: Always check the policies for hand luggage. This is a topic always changing. 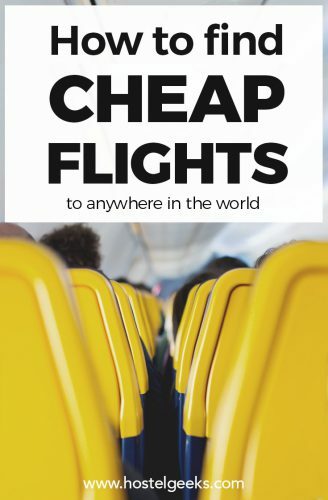 Especially when choosing budget airlines like Ryanair, Wizzair or Hong Kong Express, make sure you read carefully! If you bring too much luggage, you will need to pay an extra luggage fee. Plus: I actually have noise cancelling headphones. I can’t hear the noise of the plane itself and even if I don’t put music on (or the movie), it’s more comfy to sleep! Find my full packing list here. You can receive your orders faster when you sign up for the PRIME membership. With this link, you can test the PRIME membership for 30 days for free. The prime membership also unlocks cool movie deals, see below. I like to bring my on movies to watch on a plane. With Amazon you can download the movies and enjoy them on the fly. You can sign up for their PRIME for FREE with this link here. You can test it for 30 days for free, and then decide if you want to continue. The other day I checked flights to Chiang Mai. There was a super sweet deal with Qatar from Barcelona. However, I checked the official website, where I also found the great price (with kiwi a bit cheaper). When I read through the details, it stated: You can only bring a small hand-luggage, nothing else. This is why I mentioned in this article that it’s important to compare more websites. Kiwi would have been my choice for the booking since it’s cheaper. Yet, the airline itself was not convincing me, although it is the fantastic Qatar. In this case, it was a special offer, missing a few services like luggage and such. Do not jump on every flight offer you find in the internet, read before you take out your credit card! kiwi.com is the ultimate flight hacking tool. For the first time ever, I got the feeling that this app was seriously built for the traveler instead of for selling flights in a smart, aesthetically pleasing way. It is THE flight hack we have all been waiting for. A time saver, a fun way to explore new destinations and a safe way to get your confirmed ticket to your inbox. I was not paid to write and share this article! 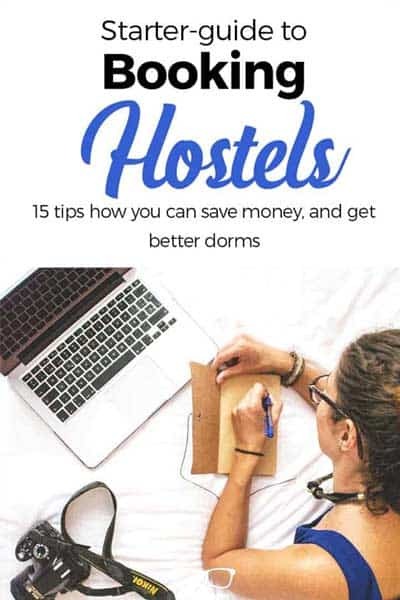 As always, Hostelgeeks aims to help our community to find smarter ways to book, stay at better hostels and travel safely. This is a full review and insight into our flight research process! After using kiwi.com, we teamed up with them. Please use this link for your flight bookings. Hostelgeeks will receive a small commission on these bookings at NO EXTRA COST for you. As every experienced traveler knows, these kind of websites change very frequently. We’ll try to keep this article up to date. I wrote this article to the best of our knowledge. If you have any input, please leave us a comment below. The team and I appreciate it. Once you have your cheap flight, complete your trip with a budget-friendly stylish accommodation, a stunning 5 Star hostel. Over to you: any questions? I would love to have this article as useful as possible. Therefore, please leave your comments, doubts, questions below. Every single question helps me to write more details and I see what I must have missed in this review. Therefore, do not be shy. Update: Please please please read the article before leaving a comment! 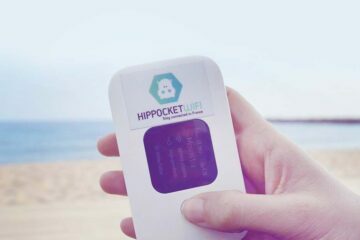 We at Hostelgeeks received positive but also negative comments about this service. 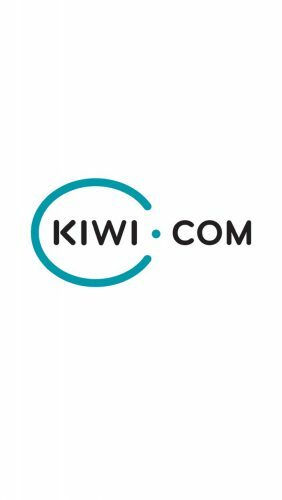 Since we care deeply about our readers and community, we reached out to Kiwi team, to get an official statement on that negative feedback some unsatisfied customers left here. Hey guys! Thanks for the review. We want to bring the best service to our customers by offering affordable travel to everyone. We are sorry for anyone´s bad experience and will do our best to resolve any issue with our Customer Support team. 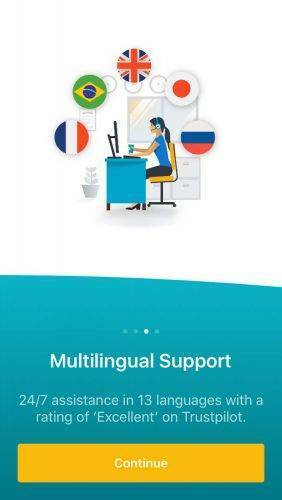 Please contact support.en@kiwi.com. 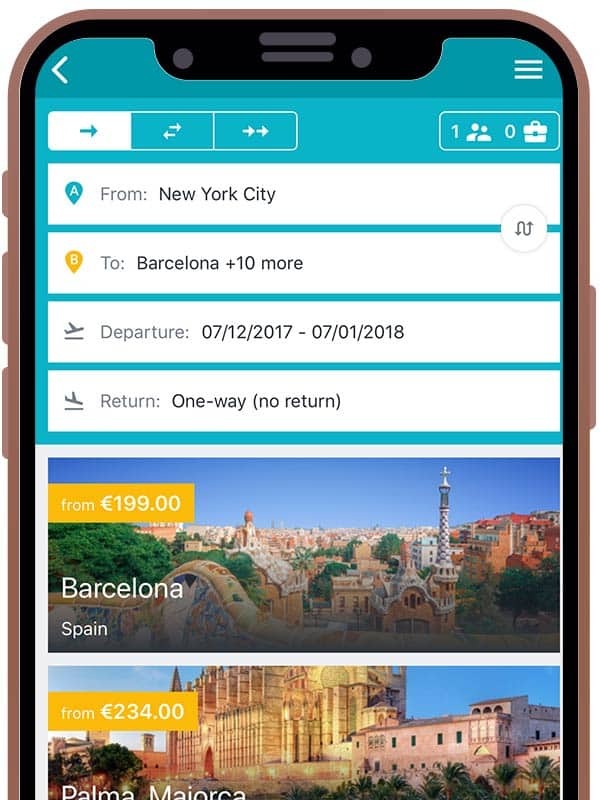 We only showcase great tools that help you to plan your trip better and in the best case, even let’s you save quite a lot of money. Kiwi com does exactly this and it is a service we and all our team uses on a regular basis. This review states our honest opinion and helps you to find better flight deals, and it is a step-by-step guide. I have a doubt about a recent reservation I’ve made with kiwi.com and was hoping you can help me clarify this. I have booked an internal flight in India for me and some of my friends. The e-ticked they’ve sent me has the image of a strange card printed on it which has the name of one of the passengers in our group on it, however my friend does not own such a card. I have used my own (different) card to pay the ticket. ‘Thank you very much for your reply and clarification! This explains, but i just have one more question to be sure I understand correctly: my doubts is why does the copy of your company credit card have the name of one of the passengers in our group on it? ‘Thank you for choosing Kiwi.com, I am writing to you in regards to your email about the credit used to purchase the tickets. Do you know about this practice? Is it legit? What is meant by single used card? I would like to know because as far as I know Indian airlines perform thorough credit card checks. Thanks so much for your comment, this is a really good question about Kiwi actually! The answer: Yes, this is perfectly normal! I experienced this myself, well, a friend actually, not me personally. The way Kiwi works is, they book the plane for you, and some airlines need confirmation of the credit card which was used. This is how they do this. There was a time the Sagrada Familia in Barcelona worked the same way. You had to book with a credit card and show the credit card when you wanted to enter. This way they ensured the booking is legit etc. I read this page before making a booking with Kiwi. I regret this. They have very unclear on baggage policy and ended up costing much more than other options in my original search in other website. However, you don’t provide any hint of this in your article. I sent you an email already! Can you please send me the flights you took via email? 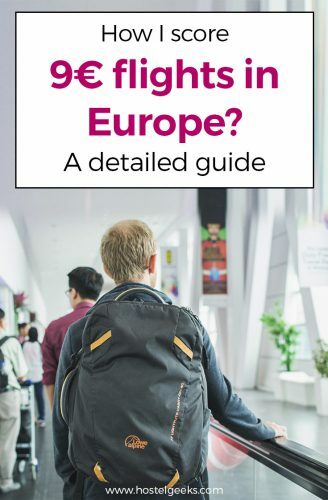 I mentioned that I found flights with Qatar from Europe to Thailand that did not include any luggage. Have you read this part too? It is always important to check more websites, the official website and read the fine print. Kiwi is the best website for travelers! I’m shocked to read all the bad comments as I’m just in the process to mention them in my newest travel blog. I travelled from Kelowna, Canada via Calgary and London to Zurich, Switzerland for an amazing low fare and had a great experience all the way. Because of the budget airline taking me from London to Zurich, the baggage weight was restricted, but I was able to add to it online a couple of days before I travelled. When I contacted kiwi.com about it, I got an answer quickly and and all was taken care of. Honestly, I had no issues whatsoever and already planning my next trip with them. same here, also pretty shocked of the bad reviews for Kiwi. We use them on a regular basis, always great experience, good price etc. Kiwi plus Ryanair could be a nightmare! Never again with Kiwi and even with Ryanair. However you have to be very careful and make sure to do the checkin at least 3 days before the fligh otherwise you will pay a fee that could be more expensive than the fligh like in my case. No customer service, no assistance. Futhermore the Kiwi Guarantee doesn’t exist. Thanks for your comment. I am surprised you didn’t know about the check-in 3 days before. We got an email about this. Did you receive an email? Ryanair has a lot of hidden fees like priority check-in, 2nd hand luggage etc. It is really important to check their emails they sent and actually read them. Also learned this the hard way unfortunately. Ryanair actually changed their policy about hand luggage and carry-on. It costs now extra to bring a carry-on, only a small hand luggage like laptop or small bag is still free, the rest has to be purchased extra. Let me know about the emails! I’m another shafted passenger…me and my family of 5 were stranded when the flight was cancelled. They said they informed me a month before the flight but I didn’t get anything. I DID receive a confirmation a few days before the flight saying that everything was OK.
Then they refused to reimburse me for the $100 I spent on one-night in a cheap hotel for our family. sorry to hear that. Not sure what went wrong here. Did you take a different flight then? Was the $100 the “only” damage done? Curious how this story ended, Adam! Let me know, please! 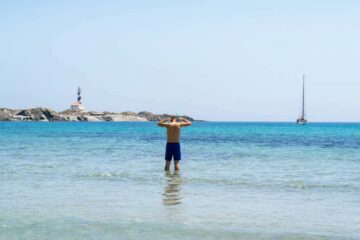 BTW, just bought a flight again with Kiwi to Cyprus. So far all good, as always. I though that they were wonderful too until I took a trip using their reservations! What a disaster! They booked me on a flight that did not fly on that day! When I arrived at the airport on a Wednesday, I learned that the flight I was booked on did not fly on Wednesdays! The airline, Alaska, booked me on a later flight at no charge ( thank you Alaska! ), but any professional agent should know what days particular flights don’t fly. My complaints were ignored of course. Not ever an acknowledgement or apologee. Just total silence. Will NEVER deal with these people again…. Thanks for sharing your experience. 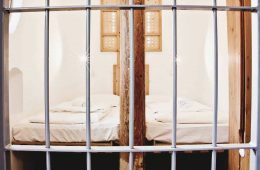 Have you read through the whole article before sharing your experience? I am not sure if I understand you correctly. How can a booking engine book you on a flight, that doesn’t exist? This is only possible in case the airline gave availability to the agent. Otherwise, this is technically impossible! I worked several years for a booking portal and airlines work in a similar way as airlines. Your experience sounds really odd to me and doesn’t add up for me. I am not saying this is not true. My review of Kiwi.com is based on my first hand experience and based on more than 800 users of Hostelgeeks that already used the same service. If there is ever a big concern, I will let the community know and we would not recommend this agent. Yet, we only had positive experiences. Anyway, I really appreciate your feedback and I am sorry you seem to have had an issue. 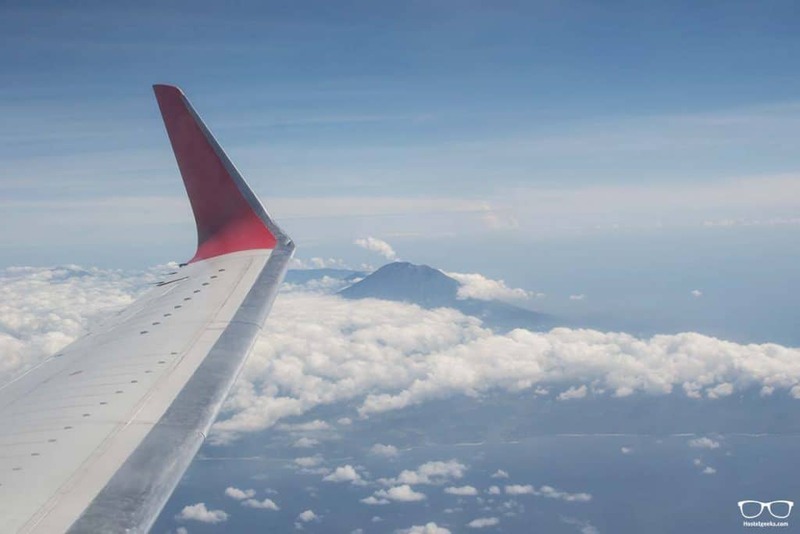 We booked two flights in indonesia with kiwi.com because most indonesian airlines did not accept our Dutch credit cards. First flight went well without any problems. But the second flight we all of a sudden had to verify that we were the legitimate card holders. Which turned out to be impossible (numbers listed in e-mails are unreachable etc). After some email contact the day before the flight we answered some questions and were told to get confirmation within 4 hours. The next day, three hours before the flight, after two extra e-mails to them they cancelled our booking out of the blue. Worst customer service we ever experienced. I find it very strange that this ‘kiwi is amazing “review”‘ is even featured on this site! thanks for your feedback, this is very interesting to know and will help all readers! We also found we cannot use our credit card with any airline in Indonesia, and last year when we traveled around Indonesia, Kiwi didn’t even gave the chance to book these smaller airlines. Have you read through my full review? I clearly state this fact here. We had to buy our tickets later in a supermarket in cash – fun experience actually. Anyway, please give my “kiwi is amazing” “review”, as you call it, another full read. You will find many tricks and things I urge you to remember and check BEFORE booking to be on the safe site. At no point I state that Kiwi is the most freaking website on the web, but it has his big advantages but also things you should consider! Hope you enjoyed Indonesia nevertheless, it’s a magical country! The app is amazing. I am in love with it. I am a frequent traveler. I have booked through kiwi 4 times I think, just to save few euros on each flight and on last one I lost 200 Eur and important meeting because of them. My route Singapore-Greece-London-Latvia, when arrived in Luton, London info desk told me that I am 8 hours late. How it is possible if I had connected flight? I understand reschedules happens but Kiwi should have take full responsibility and help me to solve this problem. Instead of that they ignored my phone calls, email messages and I still have not get a response from them. It happened week ago. I will tell all my friends and other travelers not to use this. Until I will have proper answer and refund . Thanks for sharing your experience. A pity to hear you had an issue, that really su***. Our connection flights were always without any issue. Can you please keep me in the loop about the development of your case? About changing flight schedules: I once received an email 3 days before, stating my flight changes now to x hours (long time ago) ahead of the original plan. Now, since in this case I did not have any connection flights, I was lucky and quite honestly didn’t care. I know that some airlines change flights all the time, for connections this is really not cool!! Did you follow the Kiwi Guarantee and told them right away? Their guarantee states they will help you out. I booked a flight via Kiwi.com (Skyscanner directed me there).An hour or so after the booking I received the E-Ticket from Kiwi. However the E-Ticket says PNR – ‘To be issued’. But their E-Ticket says the status is ‘confirmed’. Something doesn’t feel right. Even after 12 hours of purchasing the ticket it is still without the airline PNR number. I have only few more hours to board the flight. Will this be a problem or will I be OK by just showing the Kiwi E-Ticket at the counter..? Get in touch with the team right away! There is a contact and phone number. Did you call them up? I am still going through many reviews. Perhaps the question to ask you is what to watch out for to avoid the same problems a lot of people went through based on their reviews. 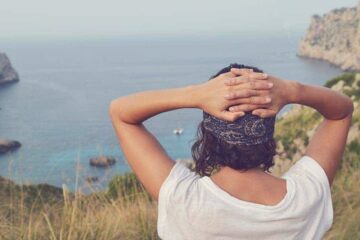 How do you prevent those negative experiences from happening and enjoy a smooth travel? I really never had any issue – nor anyone of our regular readers! I think what’s important to remember is that those negative reviews sound stronger than the good ones. Why? Because the users with negative reviews/ experience scream them from the roof top. Now, I am not saying they are not true or right. Yet, there is always two sides to a story. For instance, one customer complained here that there is a law that every company has to give a refund in 30 days after purchase in case of cancellation. This is 100% not true – at all! Anyway, I reached out to Kiwi to ask what is going on. They ensured me everything is great, going well, bookings are confirmed, thousands of customers super happy all over the world! I am working on getting some personal support for our users so I can assure you and all my other readers that Kiwi is indeed awesome and excellent and ok to book with! This article and review will stay up to date! If there is only the tiniest chance that Kiwi is not recommended anymore, we will share this as well! After all, we want to HELP you! 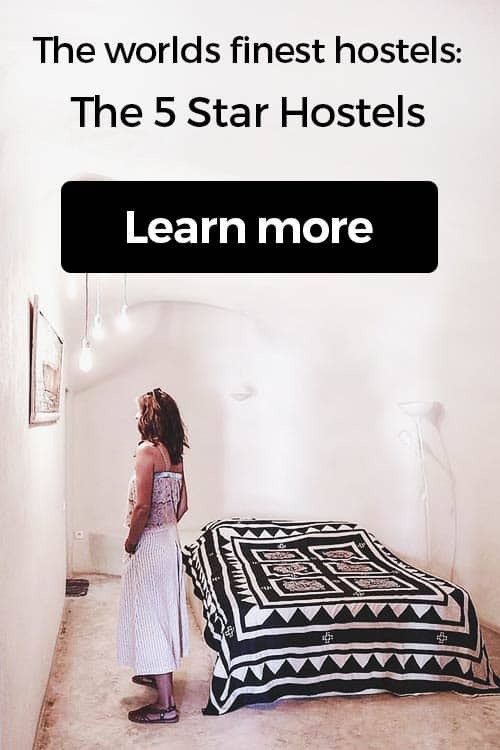 I can give the list of my destinations and look at your suggestions (airbnb) but I do not want it published. Can I email privately? I have been planning to book with Kiwi where Skyscanner took me and since it’s my first time to hear or read about Kiwi and Skyscanner, I have searched and still continue to search the internet for reviews until I came to your website and your comments about Kiwi. It is really difficult to make a decision because of the many bad reviews out there but your review offers hope. My wife and I are going to 5 European cities this summer, what else can you say to ease any anxiety? Thanks for your trust. Again, I was not paid to write a nice review on them as a company. In fact, I always use them. Then I wanted to tell my readers about Kiwi, and since I love their service, I decided to become an Affiliate. I would not promote them if I would not think they are doing a great job! Now, about the bad reviews: I am aware of those. And as stated in the review, I do not understand them quite. In my own, personal experience, I can only recommend Kiwi. I had zero issues, in fact, the app and for instance the Flight Alerts to cheaper prices are fantastic. When you “unsubscribe”, they do not bother you with endless emails like many car-rental companies do. Furthermore, negative comments are usually stronger and more written than the good ones. A satisfied customer rarely leaves great reviews but the negative ones are spread all over. An unhappy customer will leave 20 reviews on all websites, so it seems like there is a lot. BUT: For each unhappy customer, there is always hundreds of happy, satisfied ones. This is at least my opinion! My suggestion: Give Kiwi a call! They have a service hotline. Ask them about the specific flight and they will assist you. Say hi from Matt from Hostelgeeks, so they keep an extra eye on your booking! 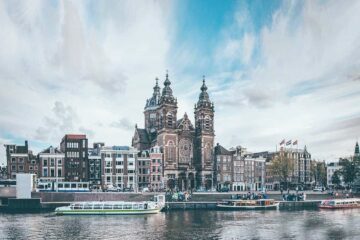 About Europe: What 5 destinations are you planning to visit? Happy to assist you and give you suggestions on transport, accommodation and things to do! Stay away from this company. It’s a scam and a rip-off. I booked a flight, unfortunately, and if you want to add lugage last minute, its impossible. You can not do ANYTHING directly with the flight company, everything has to come through them. With a Minimum of 48 hours notice. So adding a suitcase the day before you leave is impossible. Same goes for upgrades, priority boarding etc. And they add extra money on top of the normal price. Good engine to use for finding a flight, and connecting flights, but NEVER book through them, always directly with the airlines. Believe me, it is worth the extra money. If you book through these people, you are basically screwed if you want to change something. And oh… You ALWAYS have to collect your luggage and check in again if you have a connecting flight, even if it is with the same airline. If you book at the airline directly, the luggage is automatically transferred. I caught a lot of connection flights with Kiwi and never, never, never I had to get my own luggage and check it again. Not sure what was the issue in your case?! In my case it always worked smoothly. Even when I only had a lay-over of 1 1/2 hours in Kiev it worked perfectly. I took a flight from Sri lanka to Kiev to Munich – no issue, everything perfectly! About adding extras: Not sure about this, since I never had to add anything. I usually travel light and never considered adding an extra bag and such. Does it state anything about this on the booking email? It makes sense though to have 48h notice from the business perspective since you are using a 3rd party platform. This is normal for websites like kiwi, booking.com, and all the big ones out there. Kiwi is no exception, but the standard. This is really annoying, I know, but completely normal for an agency! Thanks for your input and feedback, really appreciate! just remembered: I once book a connection flight directly with the low budget airline Ryanair in Europe. I had to get the luggage and then check-in again. They did not do anything from me. Just so you know it’s not always the case. However, not sure what happened in your case, just wanted to add it! I bought a set of flights from kiwi.com and they neglected to purchase them from the airline. I was unable to fly and was forced to buy another more expensive ticket last minute. They have NOT REFUNDED, let alone offered compensation. Booking reference number 4974824. On the 9 February I was due to to fly with Tigerair at 0500 flight IT217 from Tokyo Haneda to Taiwan Taipei. When I went to the check-in desk, the airline was unable to find my records of my ticket through the ticket kiwi.com issued me. They were unable to find my name and any record of me having a ticket. I contacted kiwi.com via phone and the agent was extremely unhelpful. She continued to repeat the same mantra that everything was confirmed and I can get on the plane and if their was a problem it was with the airline. The airline staff also spoke to her but were unable to resolve this issue. After the stress of being refused to be allowed to get on the plane and no help from kiwi.com. I was forced to purchase more expensive flights last minute to be able to make it to my destination. After several emails asking them to explain what happened. I finally got a some form of reply other than their usually pointless mantra. After trying to get an update from them on how my refund was going and when it was due. I keep getting replies changing the dates of when I submitted the refund application and keep pushing the dates back to when the 30 days is due. Then I also get irrelevant replies saying they are still waiting for a reply from the airline regarding the refund, so the refund may now take LONGER than 30 days now. When clearly the fault was entirely with them and had nothing to do with the airline. I have over 38 corresponding letters with kiwi.com as proof of what has happened. It has now been over 30 days since I submitted the refund application and I have had no refund, no explanation as to why I am not entitled to a refund. The only compensation they have ever offered is a 20 euro voucher to use on their website with a 6 month expiry. This whole experience has left me scarred and sad at humanity. I believe I have been a victim of a scam/fraudulent activity/being cheated. I would not wish this to ever happen again to anybody. So even if I have been left out of pocket and emotionally traumatised, I hope I can help others not go through the same thing. this is not cool and a really bad experience! I will send them an email as well and ask them to clarify this issue. I never had any issue, I actually only had fab experiences! I really appreciate your feedback, let’s see what Kiwi says. Please keep us in the loop! good and helpful articale , thank you !!! I’m contemplating booking from Kiwi, I have read a ton of negative reviews out there on TripAdvisor, I’m not sure. Thank you so much for your comment! As I mention in my review, I read all those bad reviews. And I have to say: I do not understand them! I mean, I really tested them by my own – several times! This was not a review written, paid by Kiwi or that they took special care of our flights or anything. In fact, they had no idea we booked flights with them and reviewed them afterwards. Anyway, I want to say: We had zero issues! The booking process was clean, simple, fast and the connection for instance from Sri Lanka to Kiev to Germany was excellent! Fair to say: Since we had no issues with our bookings and did not have to get hold on them to take care of a missed flight connection, we have no first hand experience. BUT: We talked to a few of our users. Only 2 had issues with missed flights and they were taken care of. On a different note: A close friend of us booked directly a flight from South America to Barcelona with Iberia. The flight was to Madrid and then a connection flight to Barcelona. After the booking made she called and wanted to change the flight to a few days later. She was told that this is not possible – although Iberia said before if she wants to change, no problem. BUT, here is the thing: Since the flight from Madrid to Barcelona was Vueling (the low budge airline from Iberia), Iberia claimed they cannot change this because it is a different company. BS of course! Especially because our friend booked on the OFFICIAL website, and it stated nowhere that Vueling will take care of the connection flight. I want to say: Also keep an eye open and ask if in any doubt! It is not really Kiwi or any other booking portal, often it is the official company behind that just screws over people! I wish I could give more insider information, but that is it at the moment. We will keep this post updated! Just checked Kiwi.com’s lowest fairs from Burbank to Salt Lake City RT anytime in the month of March 2018. The lowest was Delta at $155 RT (but there you have to pay for baggage). The showed Southwest at $189 (where you still get two free checked bags) . When I went directly to the Southwest site I found many fares for $155. So kiwi doesn’t always search out all the best fares. absolutely! This is why we talk in this review about all the other options and things you have to compare. Kiwi is an awesome way to find better fares, but it is not 100% perfect, but I would say 95%. I am not sure why they do not show the cheapest rate sometimes, I am assuming it’s because the technology and the availability of flights they get. Always keep comparing! I mention in this guide as well that the Kiwi guarantee can be a big plus. So if you have the same price, kiwi has the better service! Example: A friend of mine just booked a flight on Iberia’s official website for a flight from Barcelona to South America. Their customer service is horrible, they do not want to help since she booked with the official website a flight also with Vueling. Vueling is Iberia – and she did not even select Vueling. Anyway, complicated issue. The point is she could have avoided this issue with kiwi, I think. Thanks for your comment, Michael! Appreciate it! Stay aware from KIWI! I was looking for booking and did a huge mistake – didn’t check the site before I made the purchase. They messed up with my name and now saying, that it was my mistake… More than that, they demand additional payment to fix THEIR OWN mistake! This is ridiculous! All my flights from this booking can be cancelled at airport, because of the mistake in the name made by KIWI… DO NOT USE KIWI! Thanks for your feedback and experience. 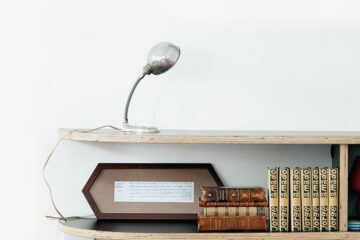 Do you have email to backup your story? Sounds like a big mess, but you never know :) Really appreciate it! As said in my article, I only had fab experiences with them. In fact, this is why I ALWAYS recommend the website and I always use it for my own travels as well as our hostelgeeks writers! In a few words: I had the worst booking experience, had to deal with a very bad customer support. If you are unlucky and a problem comes up you will NEVER EVER find a solution. Even if my reservation was immediately cancelled, I got my refund after 40 days. I made a review at trustpilot and when they saw it, they sent me 50 euro voucher for the problems they caused me. After a couple of days they kindly asked me to erase the review. This is the reason they have 4 stars and not 2 which is what they should deserve. Of course i didnt erase neither used their voucher. Now, that is unfortunate. What was the issue with the flights? Curious to hear the details. A friend of mine missed once her flight in Bali, she was taken care of instantly by Kiwi, so curious what happened.